ASUS today announced the Designo Series MX299Q Ultrawide 21:9 Cinematic Monitor, a 29-inch widescreen display with an ultra-wide 21:9 aspect ratio and 2560 x 1080 resolution. The MX299Q features the latest AH-IPS (Advanced High Performance In-Plane Switching) display for rich, vibrant color with 178-degree wide viewing angles, and ASUS SonicMaster audio, co-developed with Bang & Olufsen ICEpower® for superlative sound quality with its built-in stereo speakers. 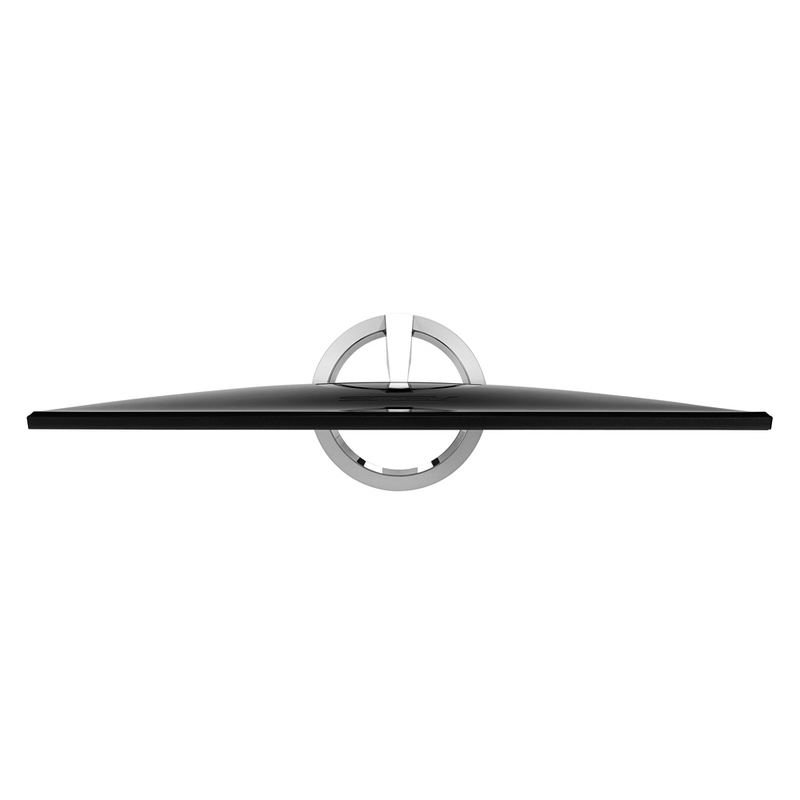 It also features an award-winning, simple and elegant sundial-inspired design. 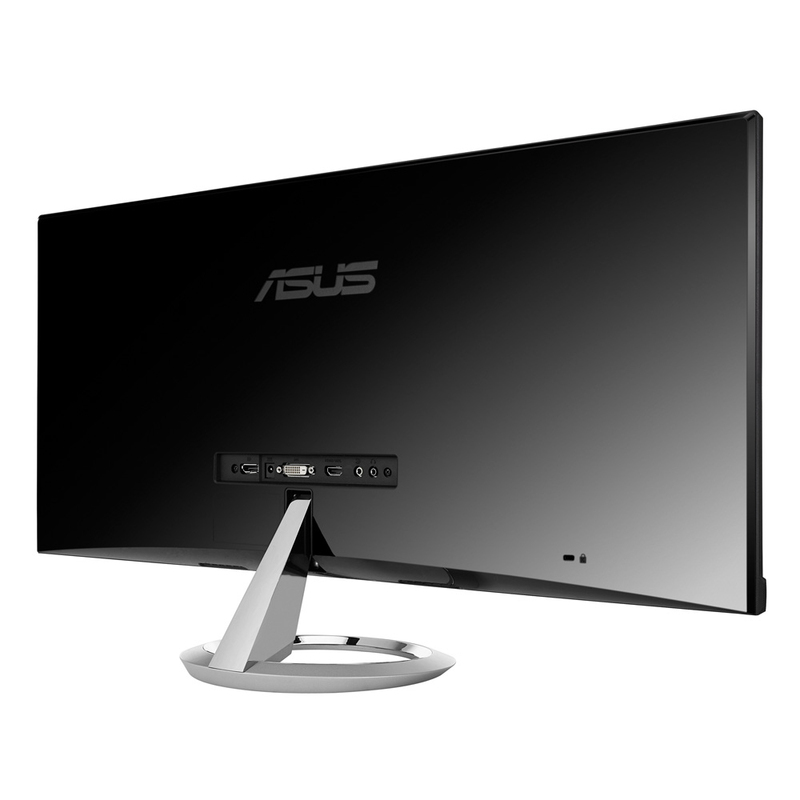 With a display area equivalent to that of two 17-inch (5:4 aspect ratio) monitors placed alongside each other, the ASUS Designo Series MX299Q Ultrawide 21:9 Cinematic Monitor has a display area 33% wider than a similar Full HD monitor. The 21:9 aspect ratio gives more room for working with multiple windows side-by-side, removing the need for a secondary desktop monitor. The ultra-wide 2560 x 1080 resolution also means there are no black bars above and below the image when watching widescreen 2.35:1 movies and gamers can also enjoy games in immersive cinematic widescreen. The LED-backlit AH-IPS display with extremely accurate color reproduction makes the MX299Q ideally suited to both professional and home use. 178-degree wide viewing angles also mean that images don’t wash out when seen from either side, or above and below. The ASUS Designo Series MX299Q Ultrawide 21:9 Cinematic Monitor features ASUS SonicMaster audio technology, co-developed with Bang & Olufsen ICEpower®. A combination of advanced audio hardware and professional audio processing, SonicMaster refines every acoustic detail to deliver crystal clear sound with richer, more distinct vocals and wide frequency range. The MX299Q has an embedded Bang & Olufsen ICEpower® MobileSound 3 chip that delivers incredible audio fidelity through the two built-in 3W stereo speakers for rich and satisfying sound. With an 80,000,000:1 ASUS Smart Contrast Ratio and a 300cd/m² brightness rating, the ASUS Designo Series MX299Q Ultrawide 21:9 Cinematic Monitor delivers life-like visuals by adjusting backlight luminance to achieve the darkest black and the brightest white shades. ASUS Splendid™ Video Intelligence Technology also ensures vivid colors in every situation, with its six modes (Standard/ sRGB/ Scenery/ Theater/ Game/ Night view) easily activated using a designated hotkey. The MX299Q also comes with QuickFit Virtual Scale with on-screen guidelines for an actual-size preview of images prior to printing. 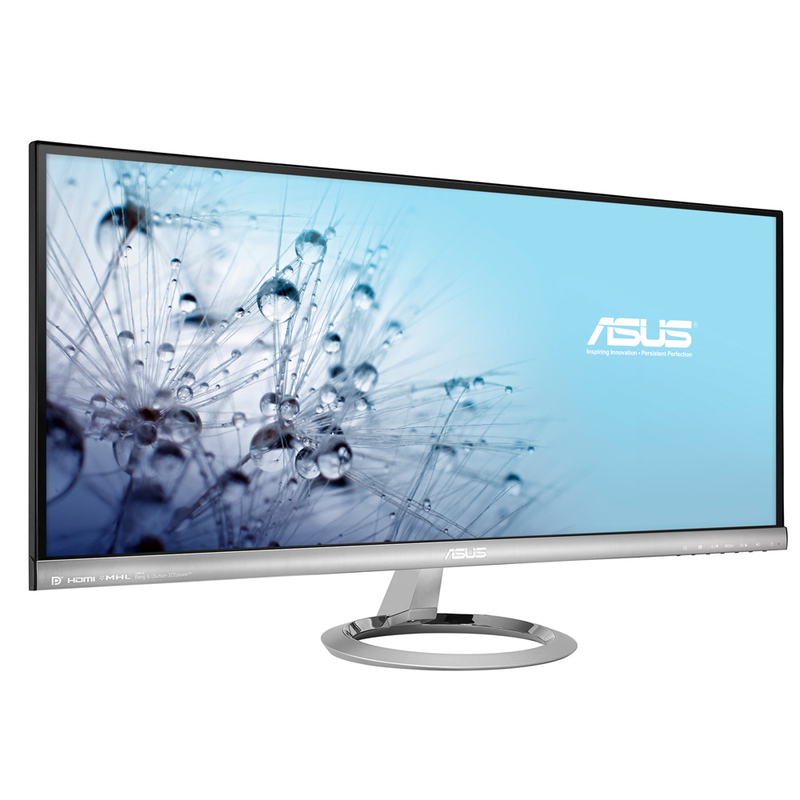 The ASUS Designo Series MX299Q Ultrawide 21:9 Cinematic Monitor display has an array of connectivity options for wide compatibility with a range of multimedia devices. 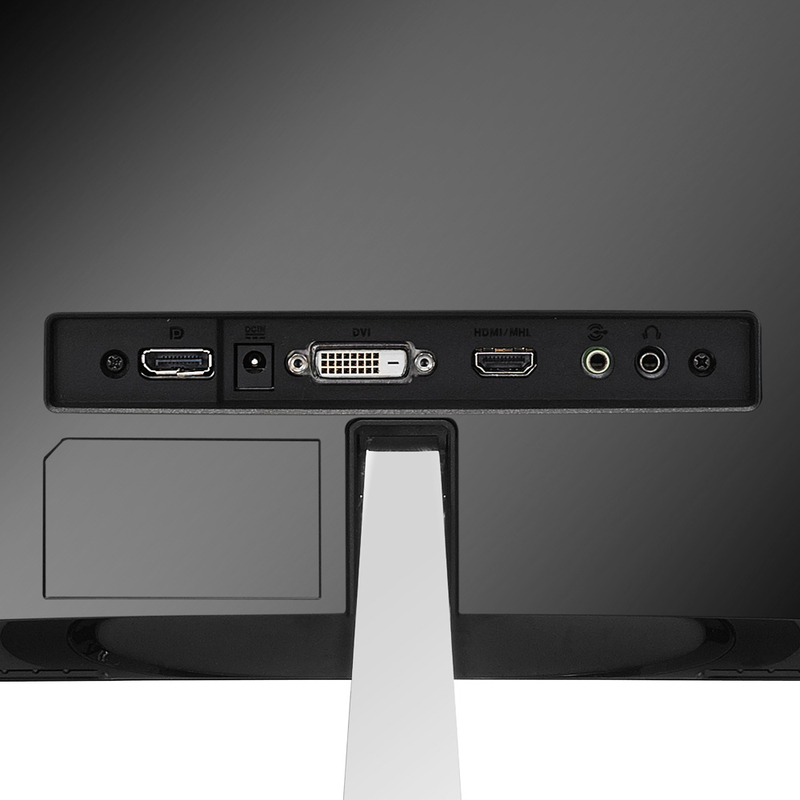 Video inputs include DisplayPort, Dual-link DVI and HDMI/MHL, with MHL (Mobile High-Definition Link) providing a single-cable video and power connection for compatible smartphones and tablets. The MX299Q features a 0.8mm bezel that gives the illusion of a frameless panel design and an ultra-slim profile measuring just 16.4mm at its thinnest. ASUS Designo Series MX monitors have received numerous design accolades that include the 2012 Japan Good Design Award. The MX299Q also won a 2013 CES Innovations Awards in the Video Displays category.